With GDPR we will be asking all of you to complete a new enrolment and permission form from January 2019. If you joined PTW in the Autumn term then you will have completed the new forms already. Please help us by bringing them in to class as quickly as you can as we known how easy it is to lose forms. Thank you for your assistance. 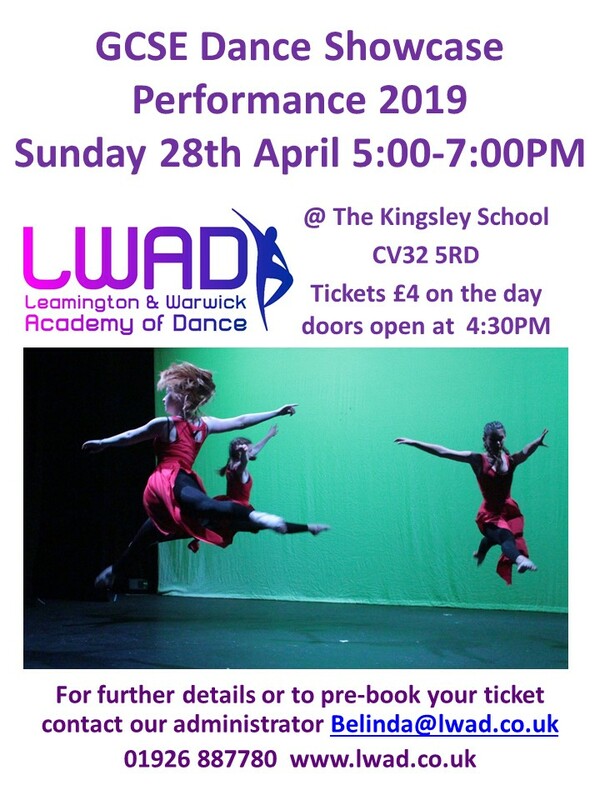 The school has grown rapidly to become one of the leading schools in the Midlands providing enjoyable classes, excellent examination results and top quality shows. 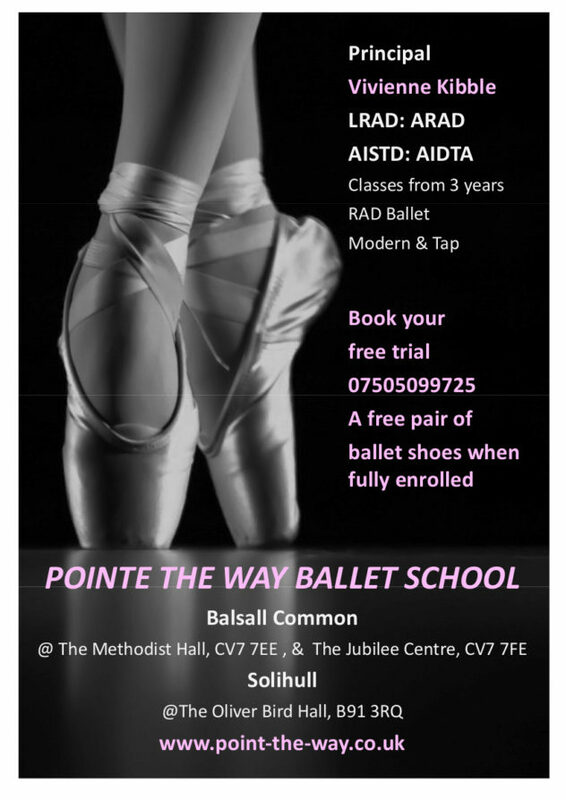 In 2007 the school expanded to offer classes in the Balsall Common area and both branches of the school are thriving. Our two branches are ideally located for pupils from the Birmingham and Coventry areas. 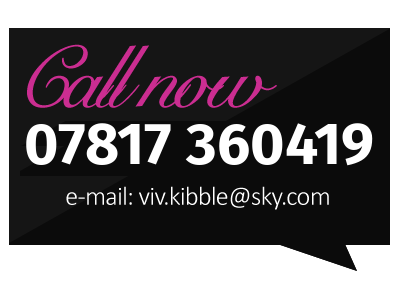 The principal Vivienne Kibble is a fully qualified and registered teacher of the Royal Academy of Dance. Vivienne seeks to inspire her pupils with the joy of dance within a caring environment, using a disciplined yet imaginative approach to teaching. There is a strong emphasis on enjoyment, creativity, musicality and performance which enables each pupil to attain their full potential technique. 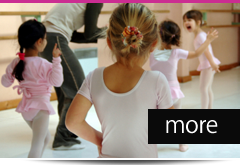 A number of pupils who started at the school as young children are now professional dancers or teachers in their own right. Some of our pupils have successfully gained places on Associate schemes with the Royal Ballet, Birmingham Royal Ballet, Elmhurst and Ballet Theatre UK. 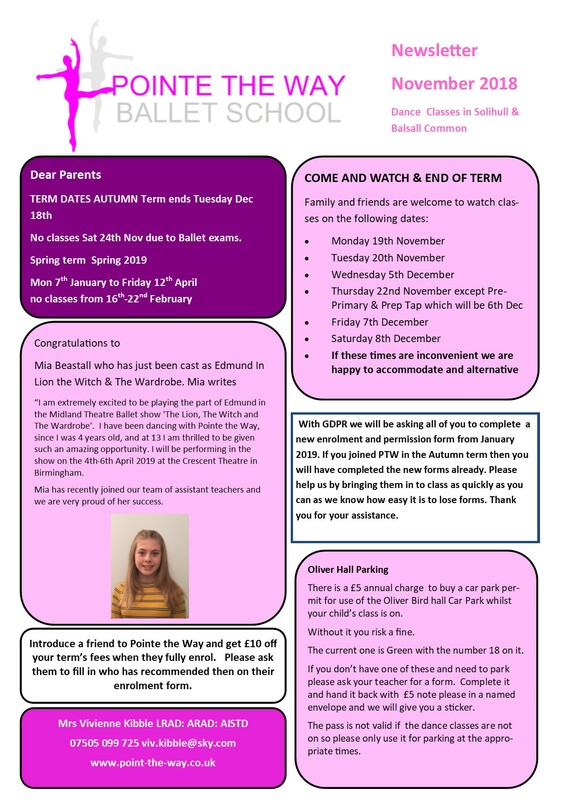 One of our pupils was selected to dance the role of Fritz in Birmingham Royal Ballet's recent production of the Nutcracker and two other pupils have recently performed in English Youth Ballet's production of Sleeping Beauty. More information about our dancing lessons in Solihull and Balsall Common can be found throughout our website. 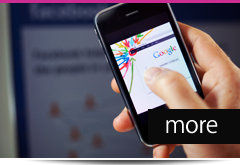 If you have any questions then please call and we will be happy to help. 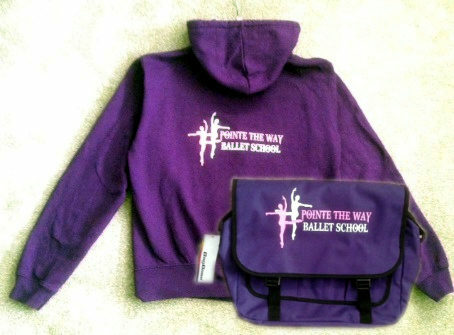 Visit our new Facebook page to see what's new "Pointe The Way Ballet School"